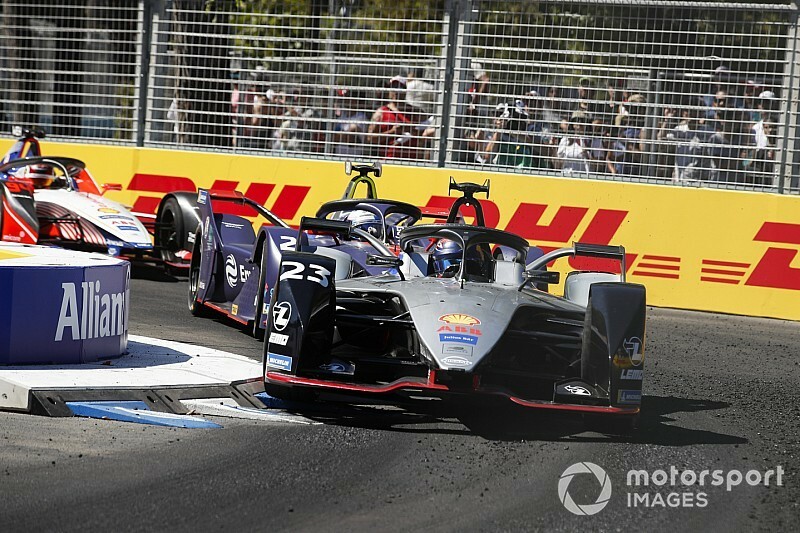 Sebastien Buemi says a software glitch contributed to the crash that cost him the lead of the ABB FIA Santiago E-Prix and reckons the accident “was not my fault”. The Nissan e.dams driver had led the first two thirds of the Chilean race from pole after Audi’s Lucas di Grassi was disqualified from qualifying. But as he was being chased by eventual race winner Sam Bird and Pascal Wehrlein, Buemi locked up at the fast Turn 7 right-hander, went off-line onto asphalt that had broken up in the race’s scorching conditions and slid into the wall on the outside. Buemi retired in the pits as a result of the incident, which occurred at the same point where he had crashed heavily during FP1 earlier on Saturday. “I cannot say too much – that’s the problem,” Buemi told Motorsport.com when asked about the race crash. “The only thing I can tell you – it was not my fault. “Basically, we had lots of software issues during the day, which of course were related to the crash I had in FP1, the big crash. That was related to a small software issue. “Unfortunately I had another issue in the race that was there from lap one and that basically made the crash happen. It didn’t help me in that phase. “But the qualifying pace is good. The race pace was really bad in Riyadh, way better in Marrakech, and it was super good here. “Ok, Sam was following with Wehrlein but the rest were really far [behind]. When asked if he could have gone faster if it were not for the issue, Buemi replied: “Of course. Unfortunately it’s part of the game and maybe the other guys will also say they had issues, but that issue was costing me laptime. E.dams boss Francois Sicard said Nissan’s day had been “a bit of a rollercoaster in terms of emotion” because of the FP1 crash. “It was not his fault, we had a brake problem,” Sicard told Motorsport.com about that incident. “Fortunately he wasn’t injured, but it could have been bad. Sicard said the software problems that impacted on Buemi in FP1 and the race were “completely different”.